Two rolls of Opus Bio (Greenlight) branded air pillow cushion machine roll film. Each roll is 325 metres long and therefore contains approximately 6500 air pillows, each being 400mm x 50mm in size. These rolls are suitable for any of the Greenlight / Green Light / Opus Bio / Opus Air branded air pillow machines. 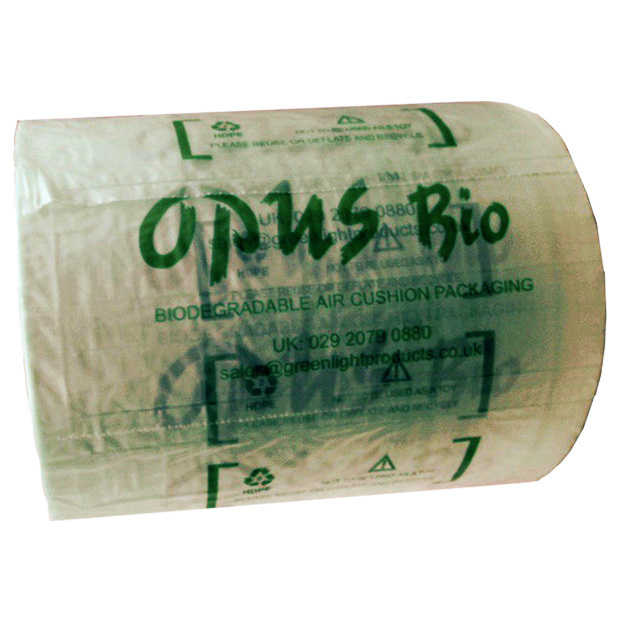 High end top quality Opus Bio branded air pillow rolls, manufactured to approximately 25mu polythene film.